A new DVD has just been released to coincide with Waverley arriving on the Thames for her 2018 sailing programme on London's river. 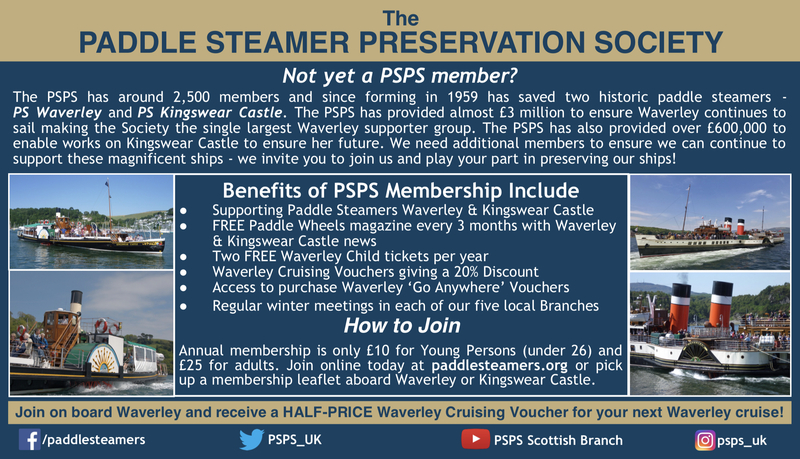 Waverley on London's River is on sale now. Waverley first visited the Thames in 1978 so this year marks her 40th anniversary since those early days of preservation. In this new DVD we join Waverley at Gravesend and sail up the Thames to London passing under the QE11 Bridge, past the Thames Barrier and the high-rise buildings of London’s Docklands business district. We sail past the historic water front of Greenwich, where we cross – not once but three times- the Greenwich Meridian of zero degrees longitude, before the excitement of Tower Bridge opening for the steamer to sail further into the Upper Pool of London. 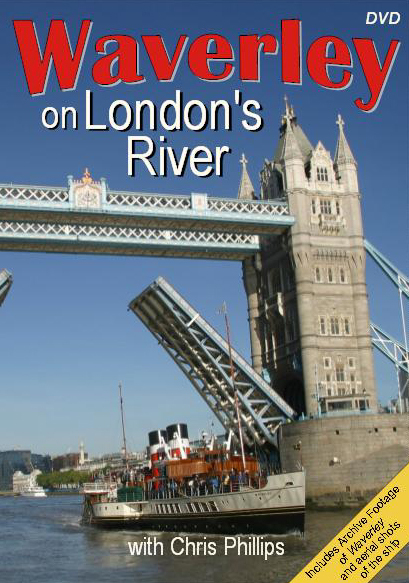 "Waverley on London's River" DVD front cover. With the help of Maritime Historian Peter Box, we discover the history of passenger steamers on the Thames and through archive footage see Waverley on her first Thames visit in 1978. Original music by Jonathan Cohen. Produced by Viewpoint Productions at Broadcast quality. Approximately 53 minutes duration. Priced at £15 when purchased aboard Waverley or at £15.95 inc p+p direct from Waverley Excursions here.